Clarksville, TN – Austin Peay State University’s volleyball team got its 2017 season off to a strong start with victories against UMKC and Marshall in the Culvers Governors Challenge, Friday. 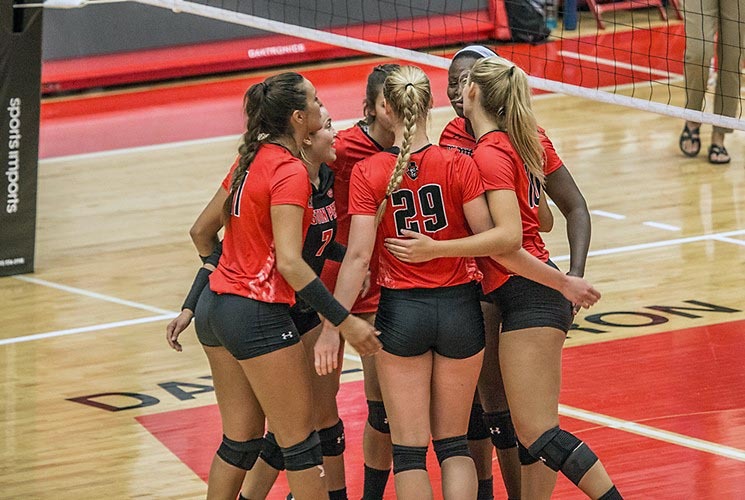 Austin Peay (2-0) shook the rust off in its season-opening match against UMKC, winning in three sets (25-20, 25-23, 25-16). The Govs offense started out slowly, posting just a .114 attack percentage in the opening set followed by a .182 mark in the second frame. However, a powerful 15-kill, .314 attack percentage powered APSU to a wire-to-wire win in the third set. Senior Ashley Slay notched 10 kills in the opening match of 2017. Sophomore Jenna Panning surprised with an impressive nine-kill, .500 attack percentage outing. Freshman Brooke Moore had six kills and a team-best three service aces in her first collegiate match. The night cap saw a multitude of Governors supply key moments in a come-from behind four-set (23-25, 25-23, 25-20, 25-18) victory against Marshall. After losing the opening set, Austin Peay nearly saw Marshall rally from a 23-21 deficit to steal the second set. However, the Govs stalled the Thundering Herds’ rally at 23-23 when Slay hammed home a kill to force set point. Junior Logan Carger secured the set with a block to tie the match, 1-1. The third and fourth sets saw Austin Peay fend off Marshall rallies late in each frame. The Thundering Herd rallied from a 17-13 deficit in the third to force a 17-17 tie. But a junior Kaylee Taff kill was followed quickly by back-to-back service aces by redshirt junior Christina White to catapult the Govs to a 25-20 victory. In the fourth, Marshall got within two points late, 16-14, but committed back-to-back attack errors to hand the momentum back to Austin Peay. Slay finished the Marshall contest with 20 kills – two shy of her career high – and also had two service aces. White added 18-kills, one off her career best, along with three service aces, 13 digs and two blocks. They led a group of seven different Govs with a kill in the win. Junior Kristen Stucker notched 57 assists in the night cap win, and added two kills, two aces and two blocks. 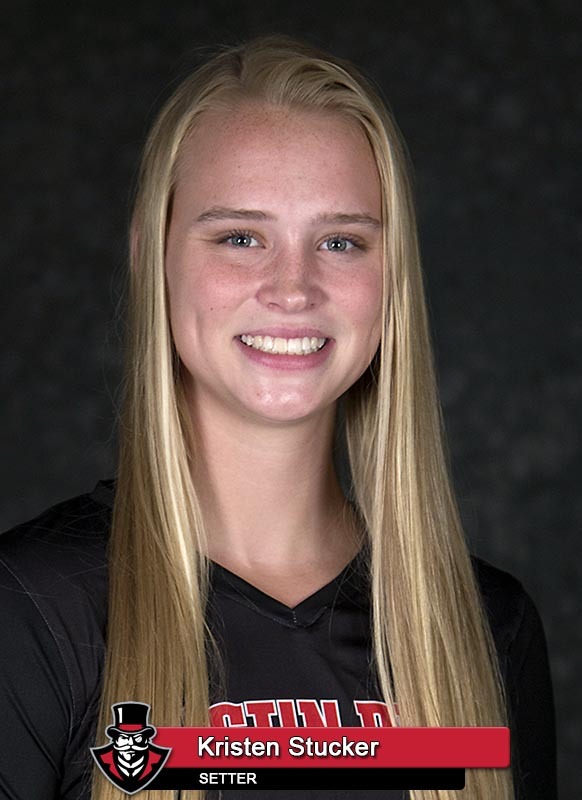 Sophomore Ginny Gerig had 22 digs and three service aces against the Thundering Herd. Austin Peay resumes play in the Culvers Governors Challenge when it faces No. 19 Missouri in a 3 p.m. contest at the Dunn Center. The Tigers opened their Clarksville stay with wins against Marshall and Middle Tennessee. Slay’s Third 20: Senior Ashley Slay opened 2017 by posting her third career 20-kill outing, putting up exactly 20 kills against Marshall. However, it was her best offensive output at home during her career, topping a 19-kill performance against Murray State last season. 2-0 Start Tops: The 2-0 start to 2017 is the best start for the Govs under Mott’s tutelage. It is Austin Peay’s best start to a season since 2008, which saw APSU open 4-0 in its own season-opening tournament en route to a 22-win season. A Dozen Aces: The Govs posted 12 sevice aces against Marshall, despite finishing the first set without an ace. 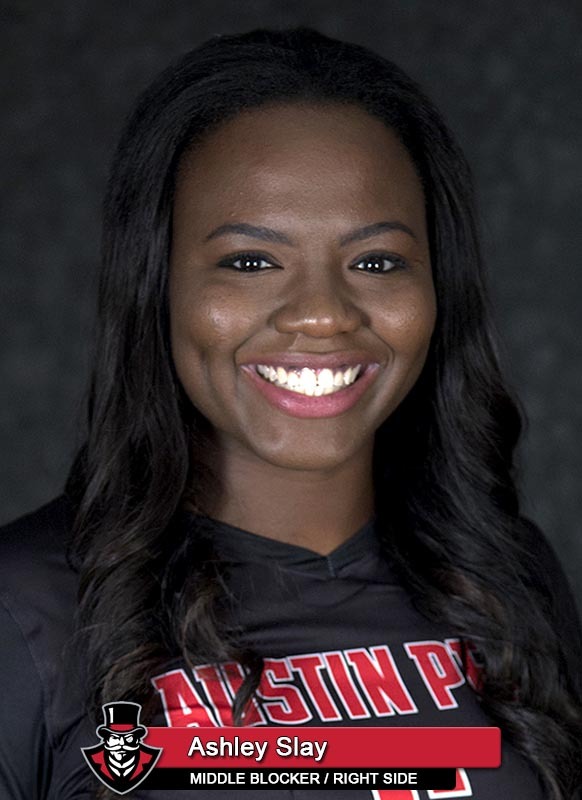 It was the Govs most in a match since posting a dozen against UT Martin last season – one of four double-digit ace outings for APSU last season. White and Gerig had three aces each, Slay and Stucker chipped in two each while O’Reilly and Moore had one each.